This family unit is headed to North Carolina for a week-long traveling adventure! They will meet up with other Brethren campers from Pennsylvania to Florida for a week of adventures at Camp Carmel! 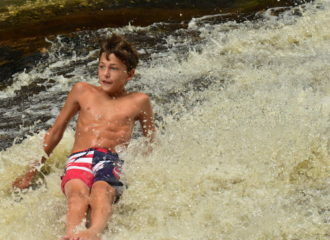 While in North Carolina, campers will enjoy a natural water slide, and a mountain peak hike! Calling all high school youth to the best week ever! Senior High campers will come together for worship, Bible class, and other large group activities but split up for certain activities including lodging and meals. Choose Senior High Adventure for a more rustic experience to sleep out every night and cook many of your meals over the fire. Sleeping locations can include hammocks, tents, or tarps. Choose Senior High Resident for a cozier experience to sleep in the Walnut Creek cabins and eat most of your meals in the dining hall with a few cookouts. 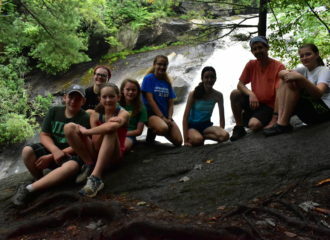 All Senior High campers will have the chance to choose between off-site activities like caving and rock-climbing or on-site activities like: leadership training and opportunities to help lead nature, crafts, or Bible Study. Both groups will have the chance for fellowship together through later nights, a coffee house, and an optional group overnight hike. It’s a week of “choose your own adventure” for senior high! Ready for the next level?! 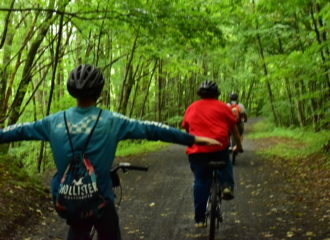 This camp is for youth who are ready for a week of living and learning outdoors. Campers learn outdoor living and minimal impact camping skills as they cookout each meal, spend every night in tents or under the stars, and participate in overnight backpacking and canoe trips. 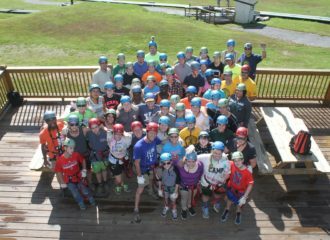 Daily Bible studies, leadership development, low and high ropes challenge course experiences, swimming, and work on the Pioneer Program complete the week. *Camp rates are for one person and include a camp group photo and T-shirt. The final program cost is determined by the date postmarked on the registration form (see chart). Brethren Woods encourages churches to provide financial support for campers. 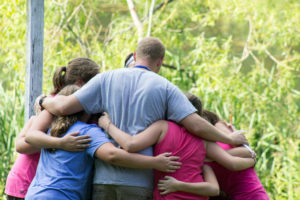 To receive this support, your pastor or camp representative must complete the church support box on the registration form, clearly indicating the specific amount of support. Churches will be billed at the end of the summer.